It’s high time for some Hai Life this Saturday night, with two Small Club heroes running the Front Bar til very, very late. 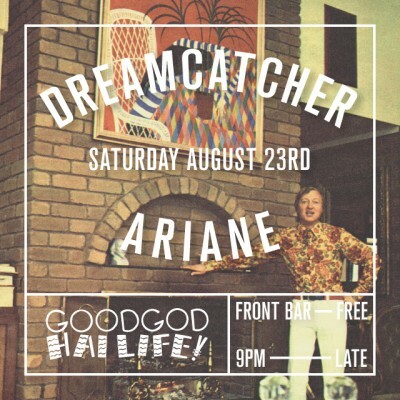 The unstoppable Ariane dishes out jams for hours, while SlowBlow’s Dreamcatcher brings electric flair to the dancefloor. **LATE ADDITION**: We’re stoked to be hosting Seekae’s afterparty! If you’re coming to their Metro gig, or just want to see them do their late-night thing, come to the Small Club for a late night Seekae DJ Set! We’ll also be selling late night eats at Jonkanoo, and the bar will be servin’ up drinks aplenty. Throw your hands up in the air for a chunk of Paradise Garage disco before playing air piano to the best Yacht Rock this side of the harbour. Scream along to some soul classics, pump your fist to a forgotten 90s dance classic and wind down with some R&B slow jams. It’s Hai-Life!